Tarak cleared it as a mere speculation and he normally just gives a suggestion and it is upto directors and producers. Also, the actors have to be available at the right time. But still the rumour doesn't stop and for his every film, he faces such questions. When he is asked about asking SS Thaman for his instead of Anirudh Ravichander, he satirically said, "Actually I directed this film and Trivikram name is displayed just for the sake of it. In fact, I gave music, did editing and even did the Cinematography. Nobody else worked for the film. Who am I and why would I be so involved in the filmmaking? 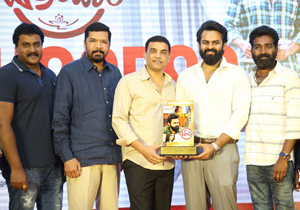 Trivikram Srinivas is the director and heart of the film. I am just an actor and I tried to fit in his vision that is all. In some discussions, I participated but I never insisted on anything," explained Tarak. #MeToo: Producer Who Harassed Asha Saini!